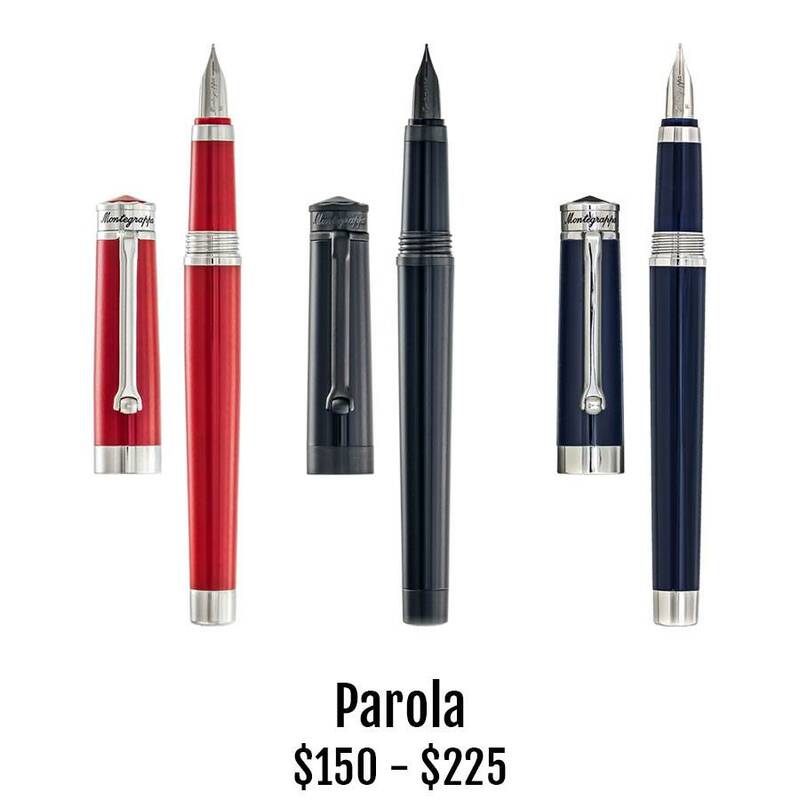 Montegrappa has just added two new finishes to its popular Parola collection. A bright red resin joins the blue Parola, both trimmed in polished chrome. The new Parola Stealth has black chrome trim on shining black resin. Montegrappa embraces the importance of the written word and has named these pens just that, but in Italian, of course. Fountain pens feature a polished steel nib, accept cartridges and include a converter for bottled ink. Rollerball and ballpoint refills come in many ink types and colors.